Have you ever wanted to pick up a growler of beer but then decided not to because you did not want to drink all 1.89L or 64oz in a day? This was always the downside of growlers as you had to finish them so fast after opening. But then a man named Rob in Denver Colorado had an idea and started up a kick starter. The TapIt Cap uses CO2 to force the beer out of the growler without letting oxygen touch the beer! This means that if your beer is filled off of a proper growler filler your beer will stay carbonated for a full two weeks! This might be the best thing to hit the craft beer market. 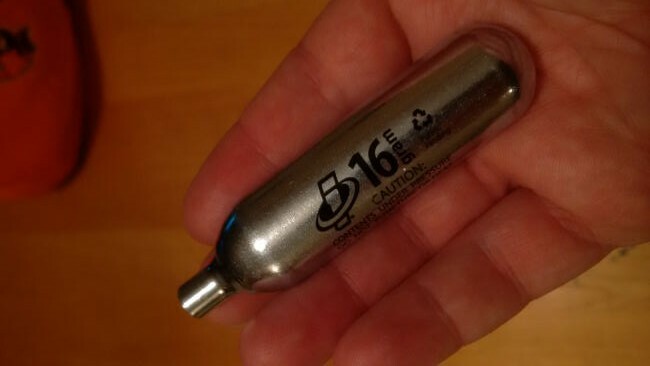 The system uses 16g CO2 cartridges that you can purchase at your local home brew shop. If you live in Vancouver then your best bet is Dan’s Homebrewing Supplies and will run you $2 a pop. Once you get your growler filled then your growler then turns into a mini keg. Check the TapIt Cap (now called Growl Tap) out for yourself! 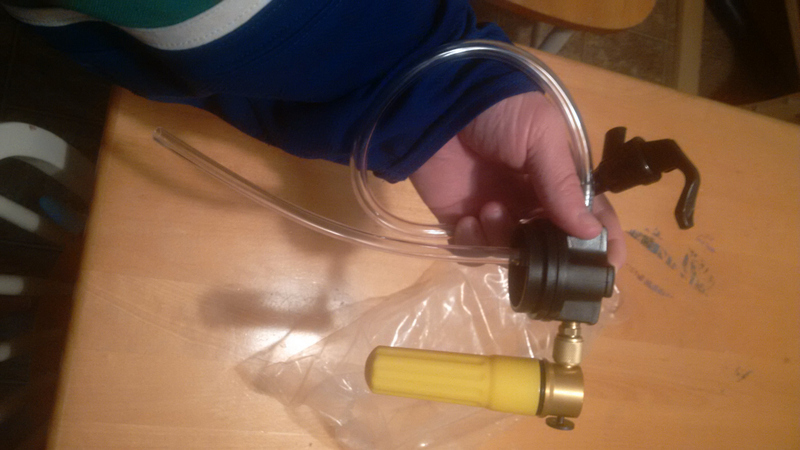 This entry was posted in Gadget and tagged beer, co2, craft beer, mini keg, tapit cap. The one problem with bike store ones much like ones for paintball guns they often have non food safe things in the cylinders such as oils or grease. So you have to ensure they are labeled food safe. The cap is awesome so far though! Good point. I am not sure if they are but most are made by Genuine Innovations, the same company as the one shown above. Then that is a good possibility. Also from what I hear you can also use threaded ones as their are threads. I’m glad you like your TapIt Cap! Its great thanks for having a great idea!